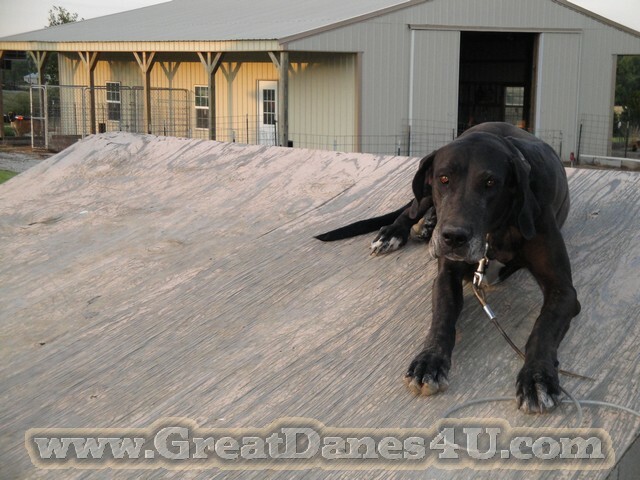 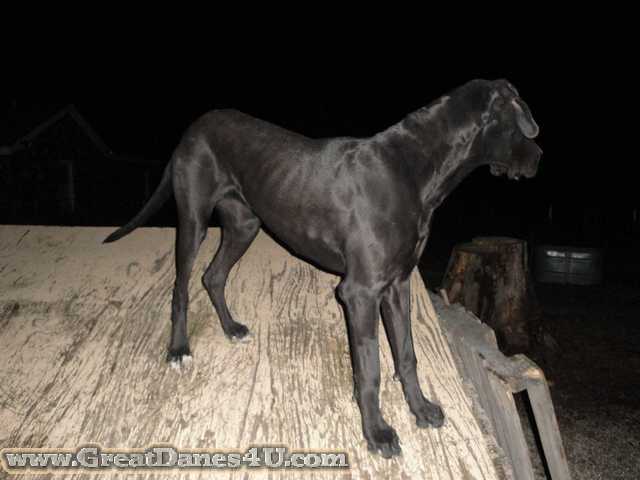 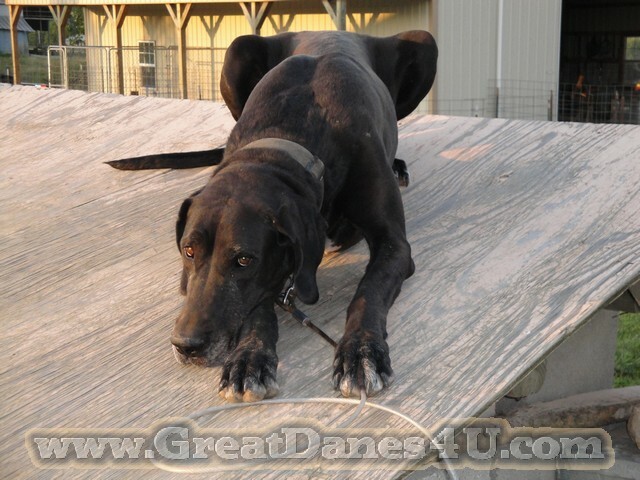 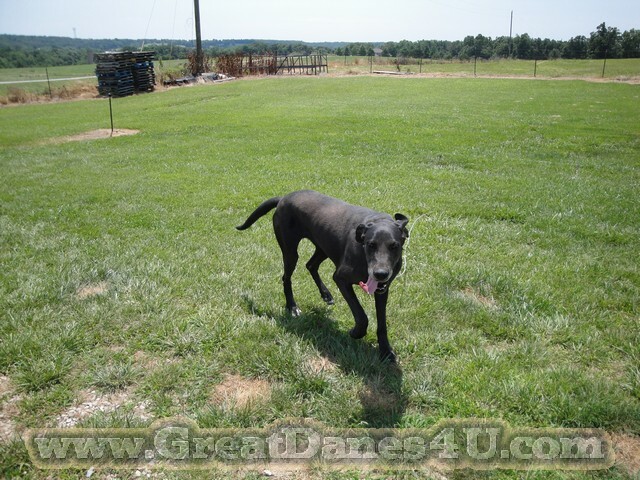 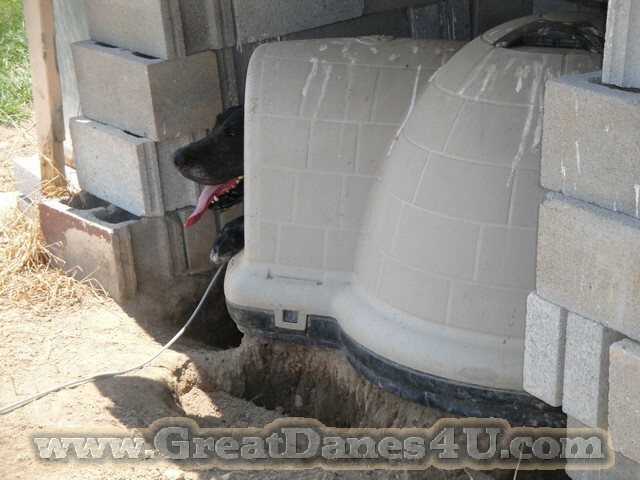 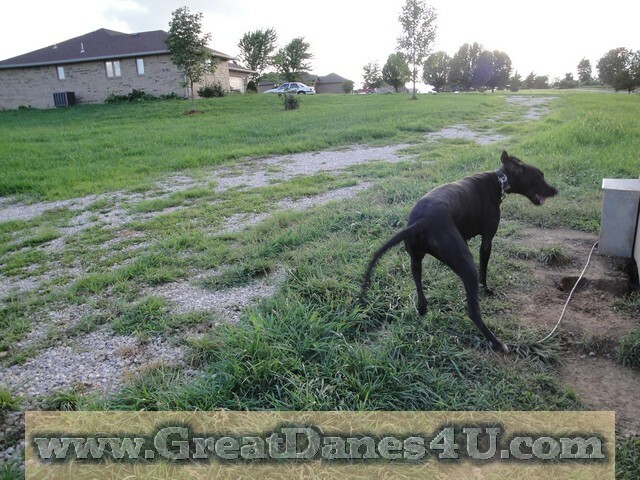 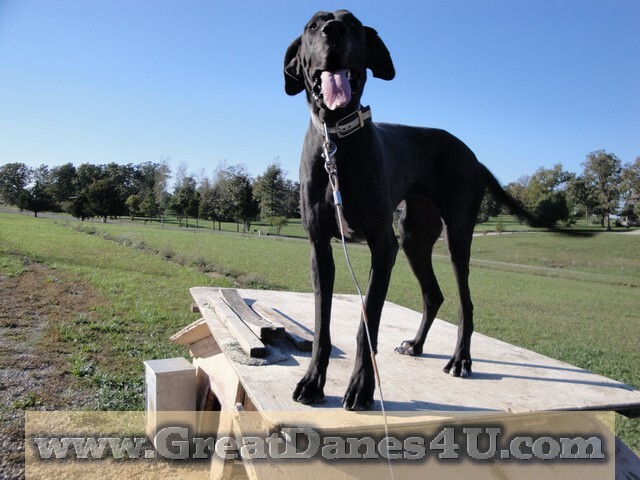 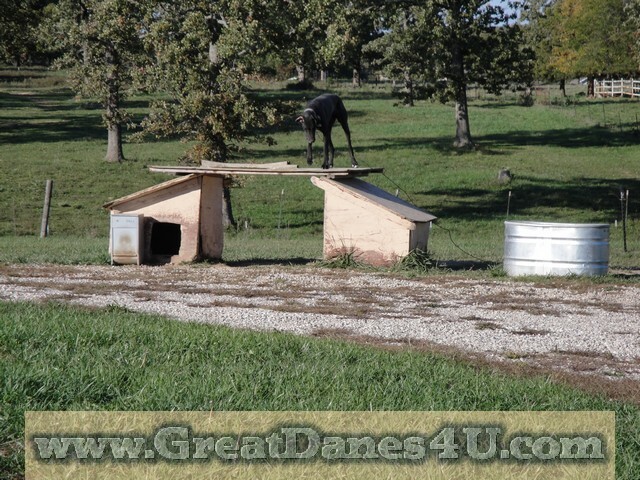 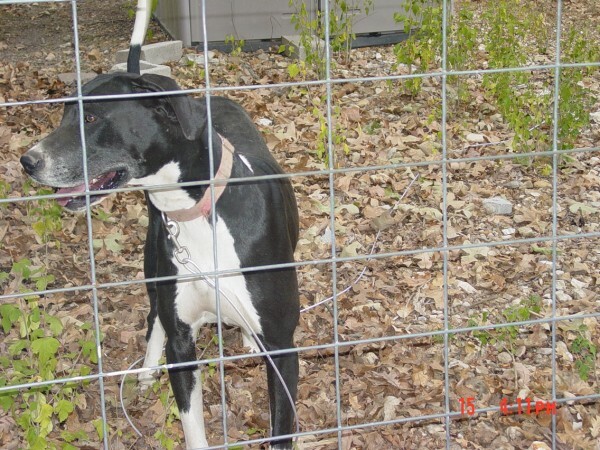 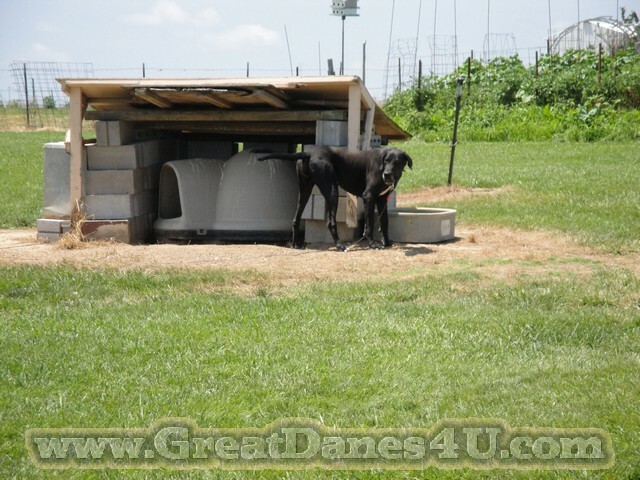 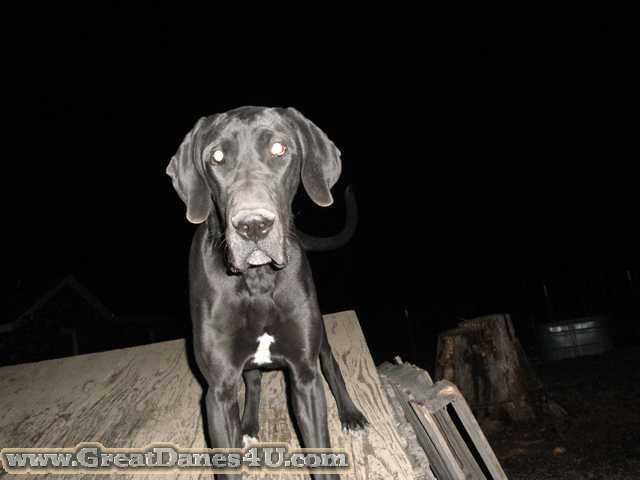 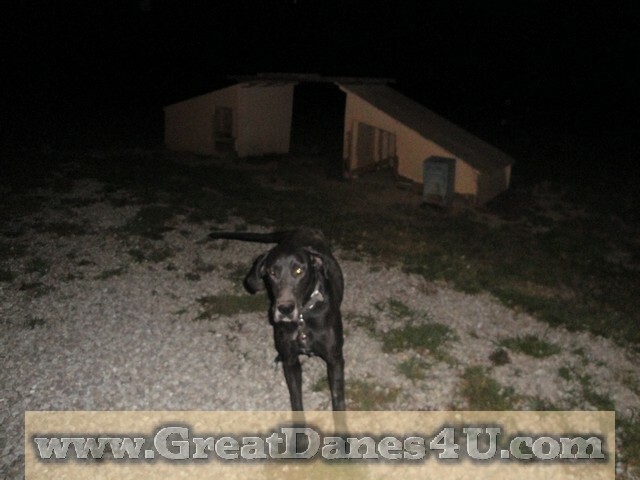 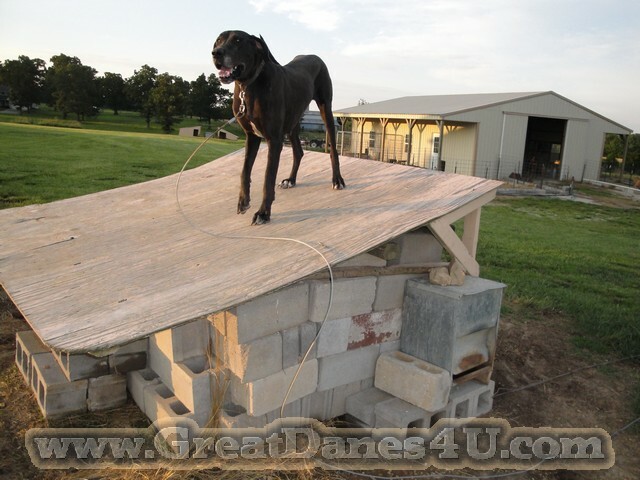 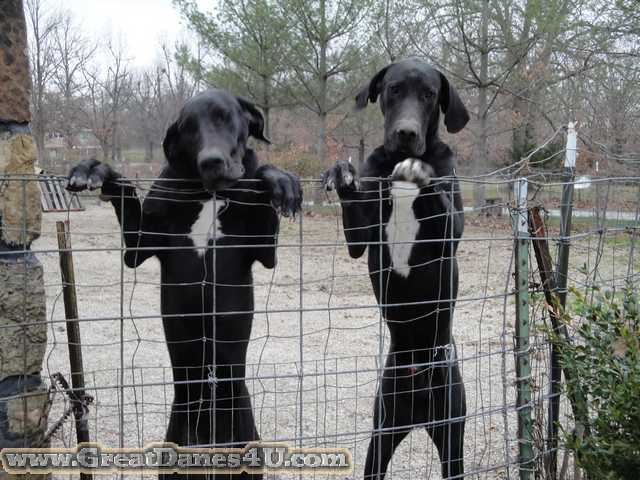 Whoop-See-Daisy Daughter of "Daphne" & "Romeo"
Black Great Dane Mother to "Hera" and "Phoebe". 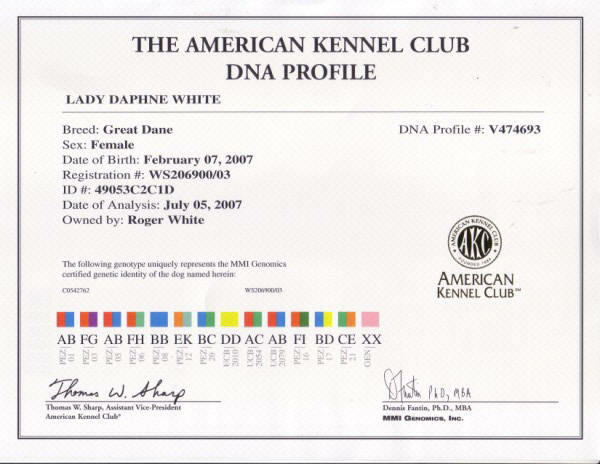 Whoop-See Daisy's Mom is Daphne. 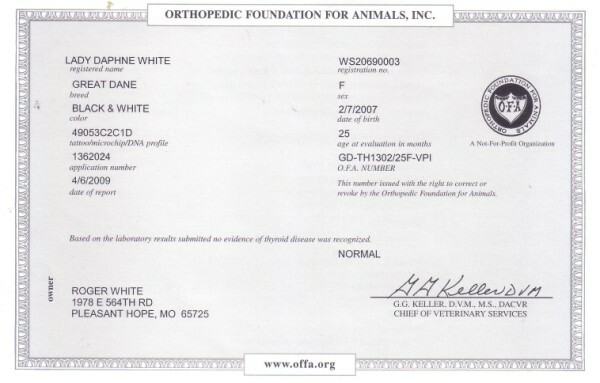 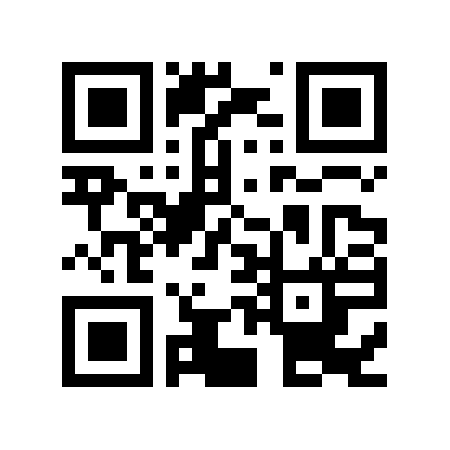 For more information on Daphne please check out her web page. 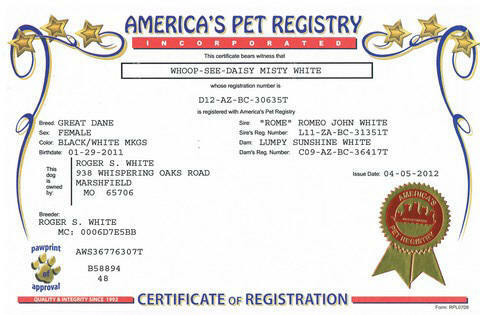 Whoop-See Daisy's Dad is Romeo who was used to create the Blues that Tiger did! 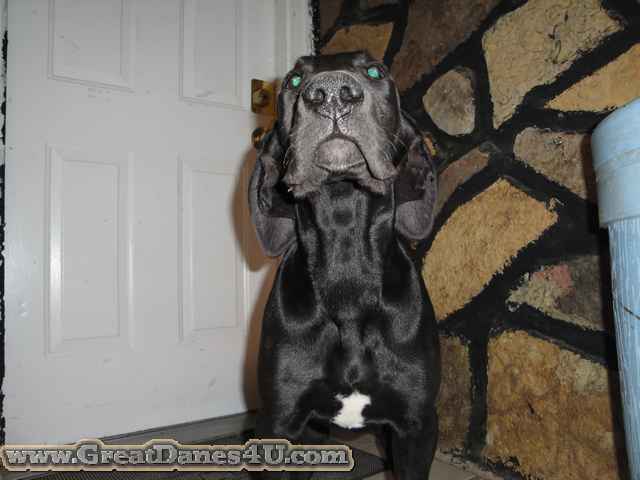 *See Below Daphne had Black & Blues! 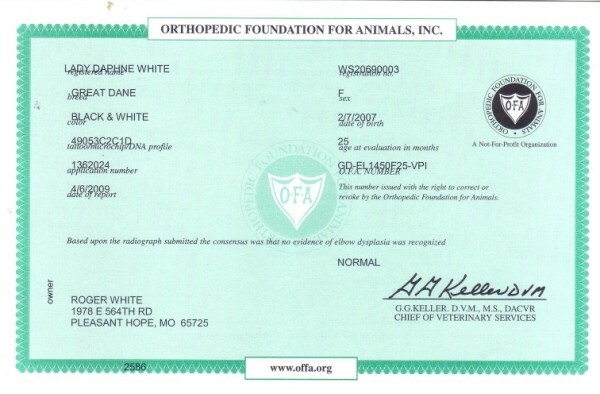 (Left has mild Subluxation) *submitted during heat cycle at only 25 months Daphne did not survive our relocation but we have her daughter, Whoop-See Daisy! 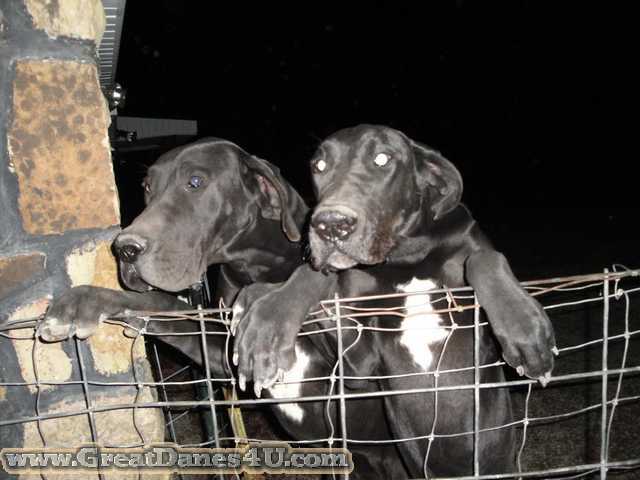 Whoop-See Daisy's Dad is Romeo. 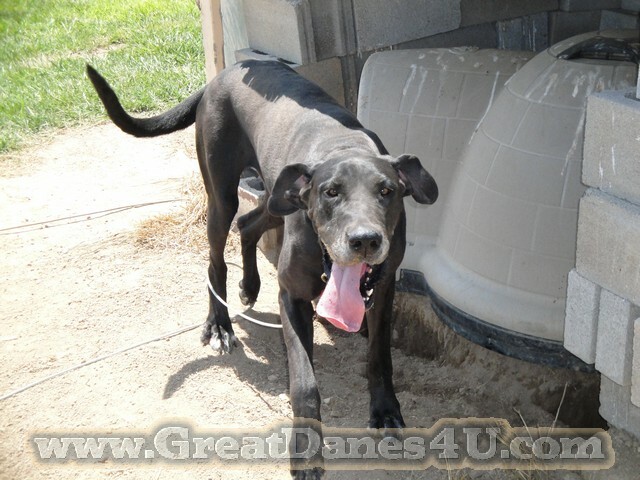 For more information on Romeo please check out his web page. 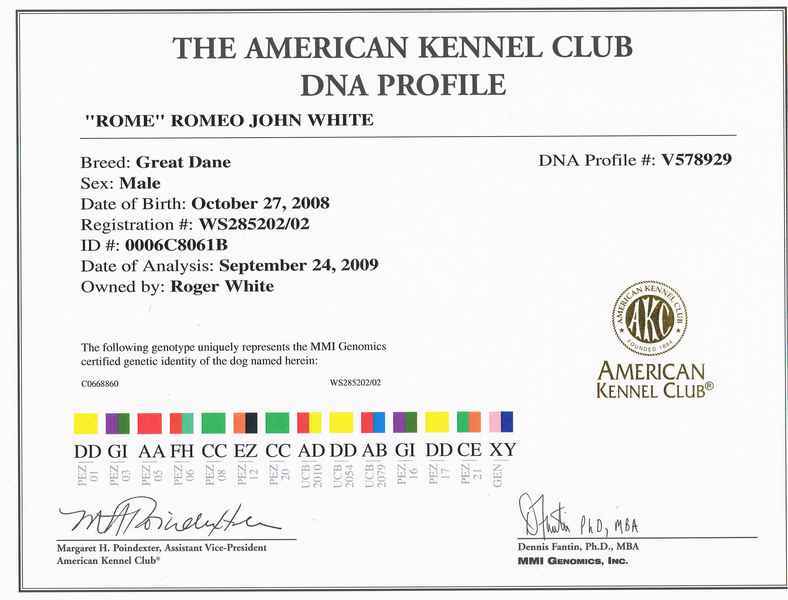 Romeo who came from Indiana with 33 Champion Titles in his father's 4-generation Pedigree and 8 Champion Titles in his mother's 4-Generation Pedigree. 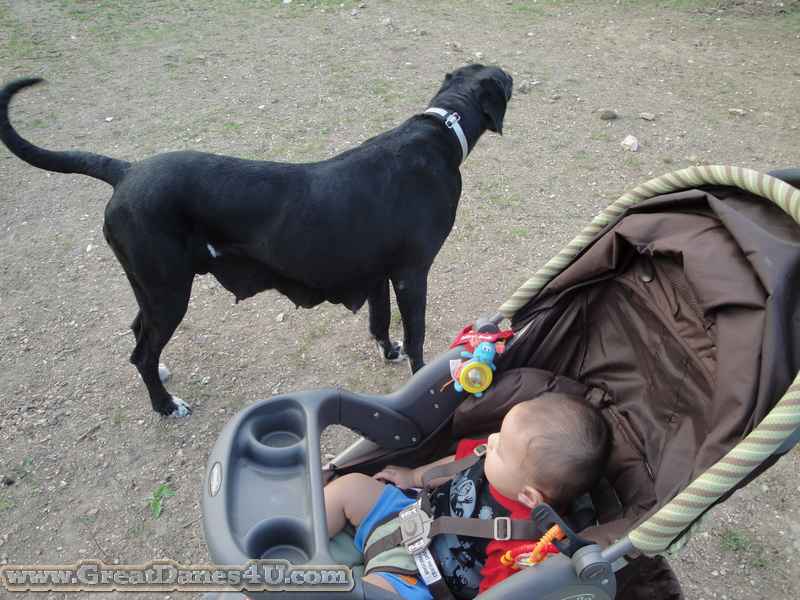 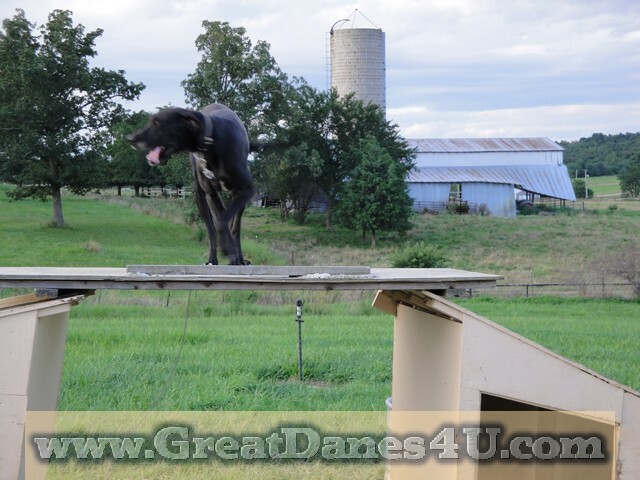 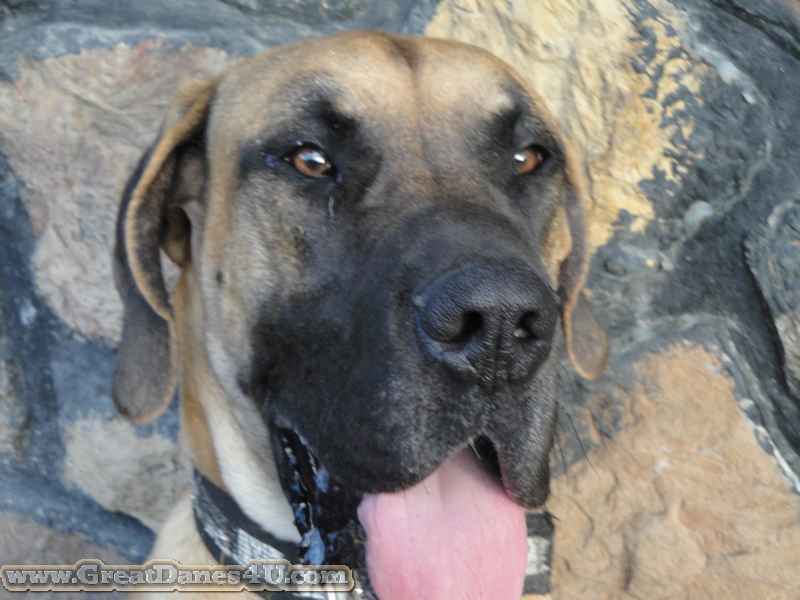 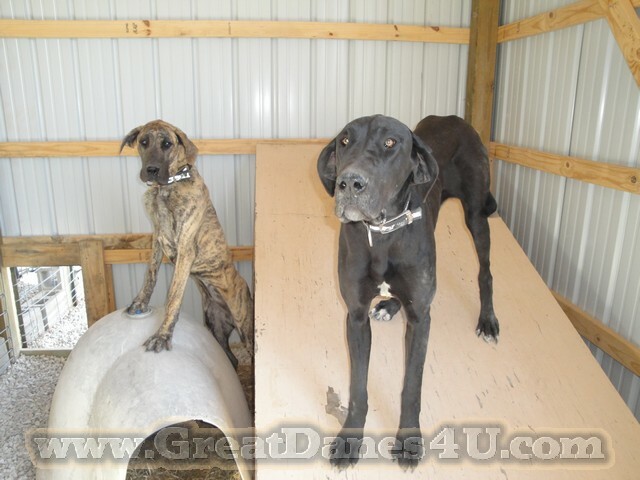 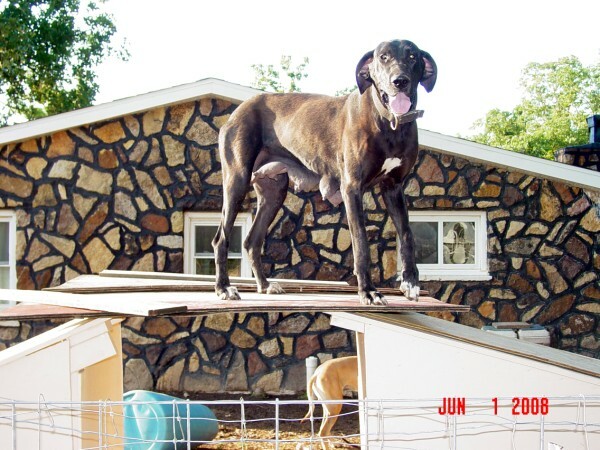 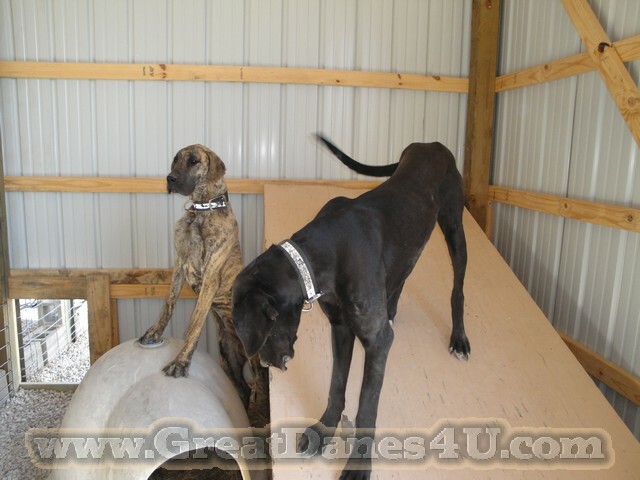 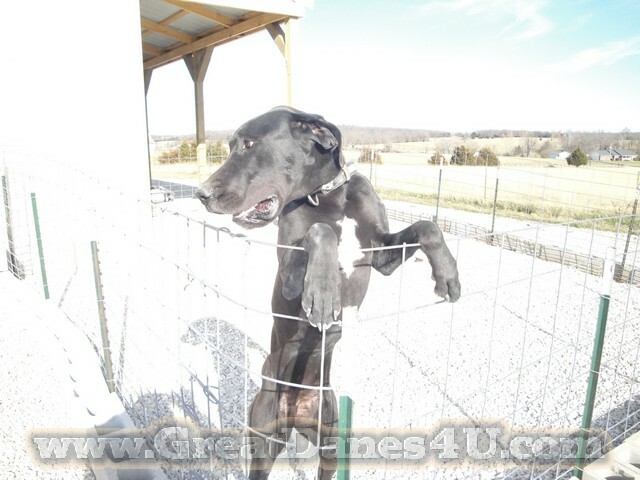 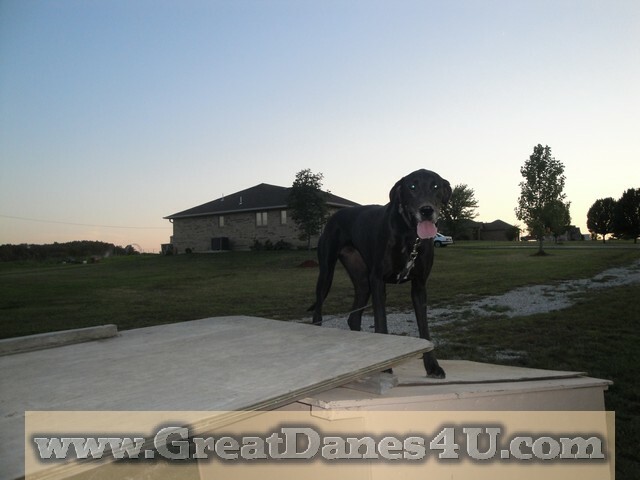 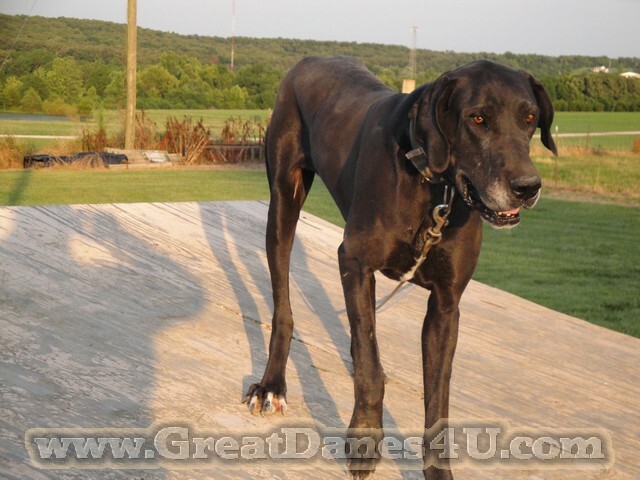 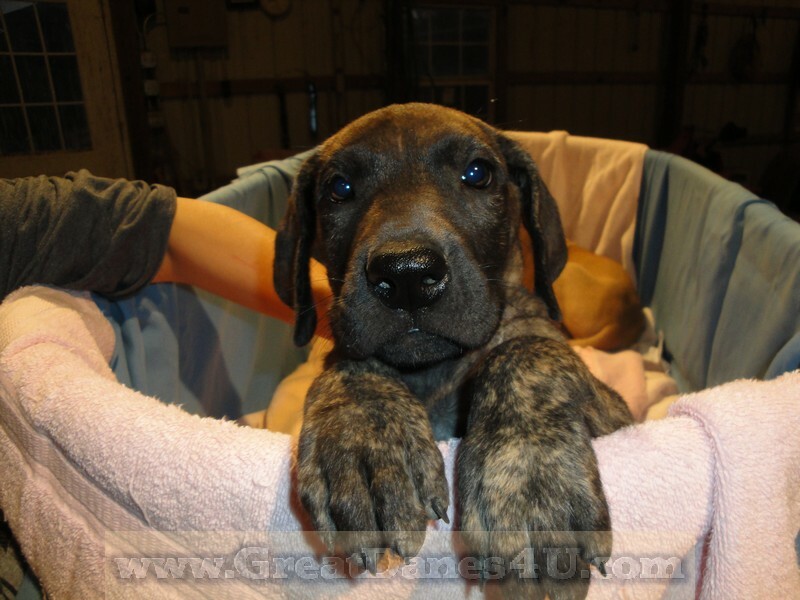 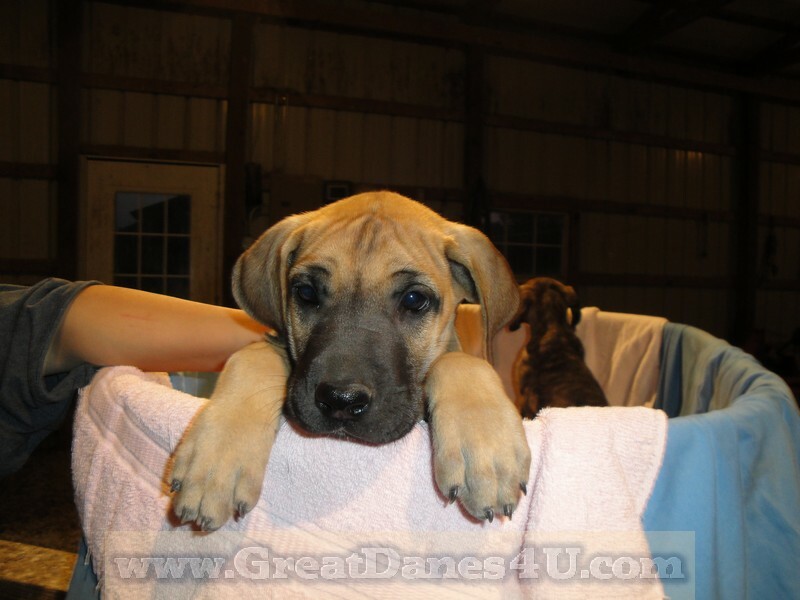 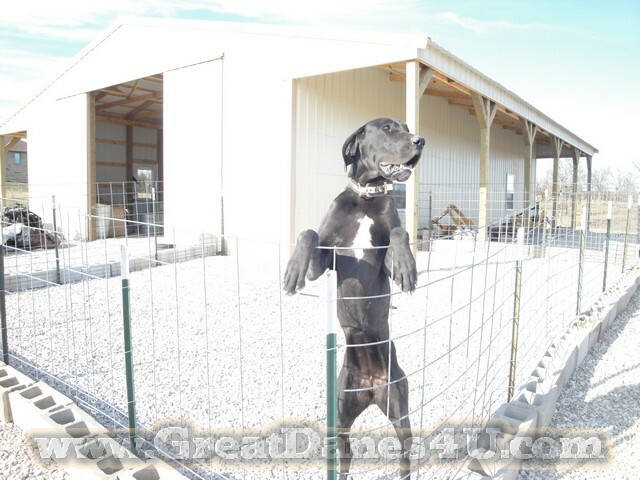 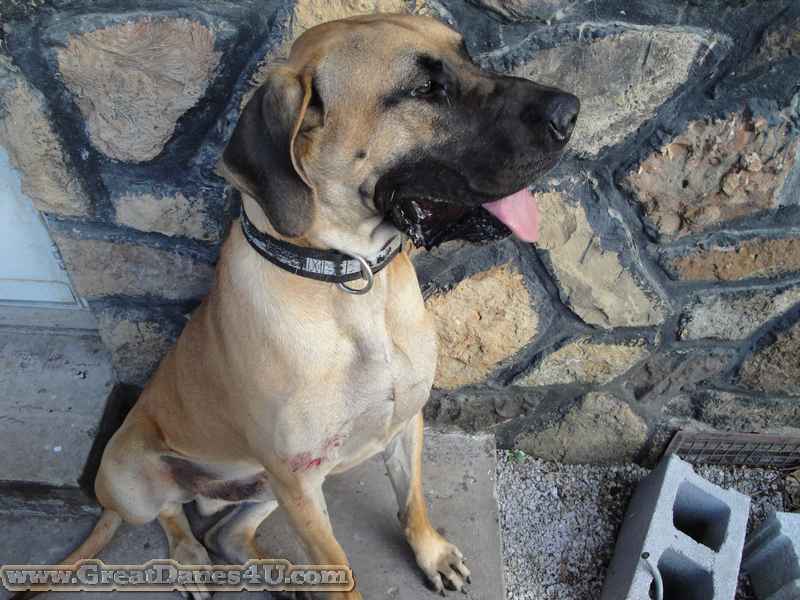 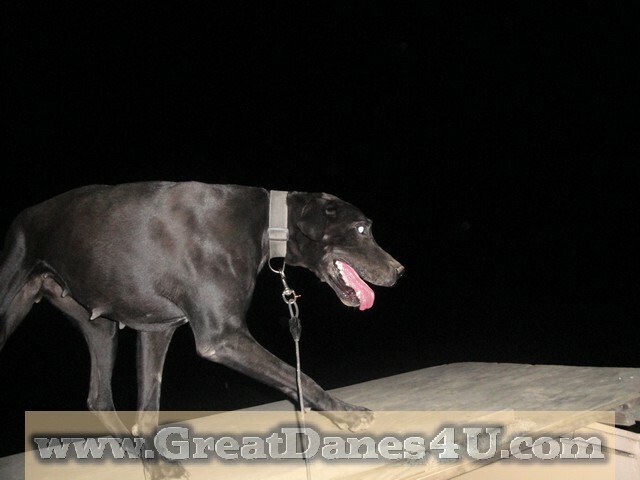 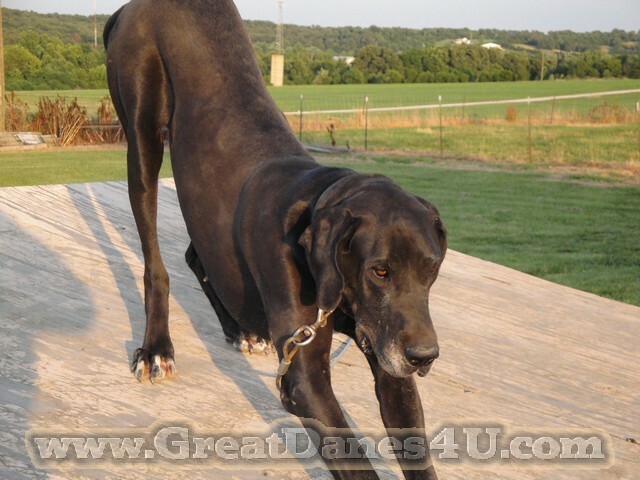 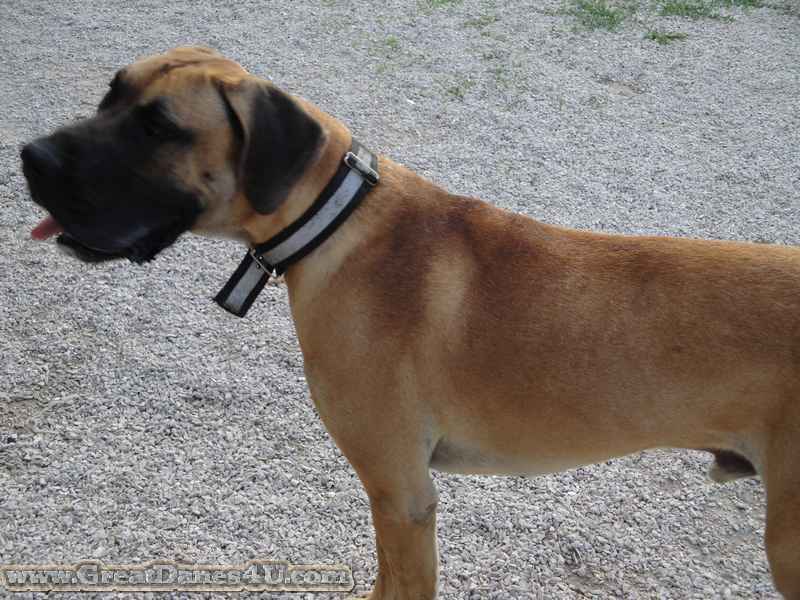 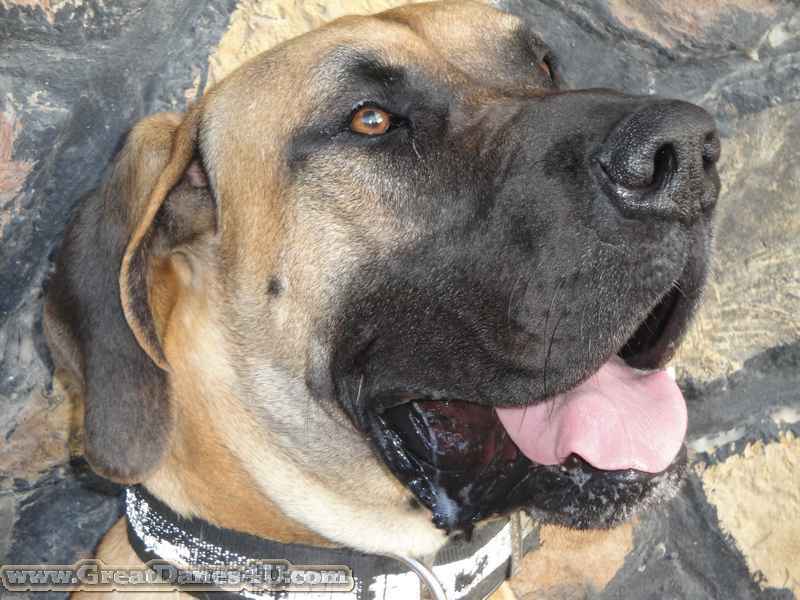 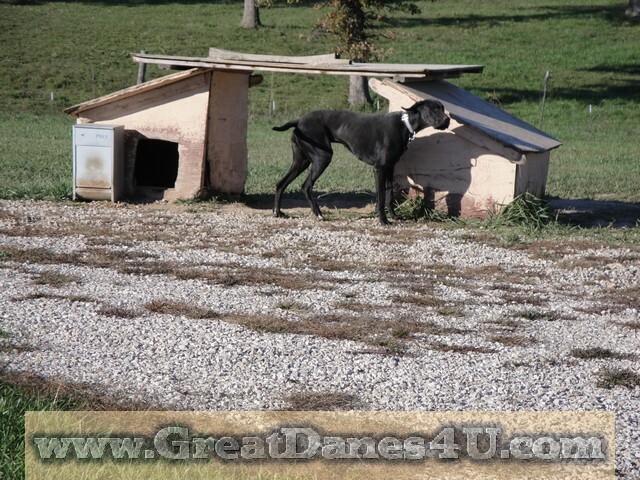 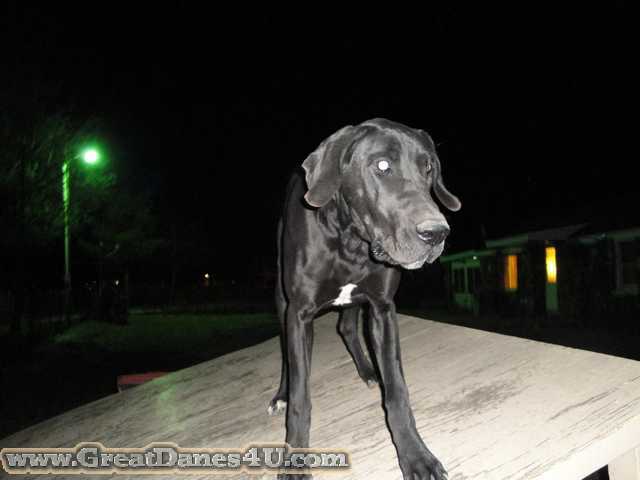 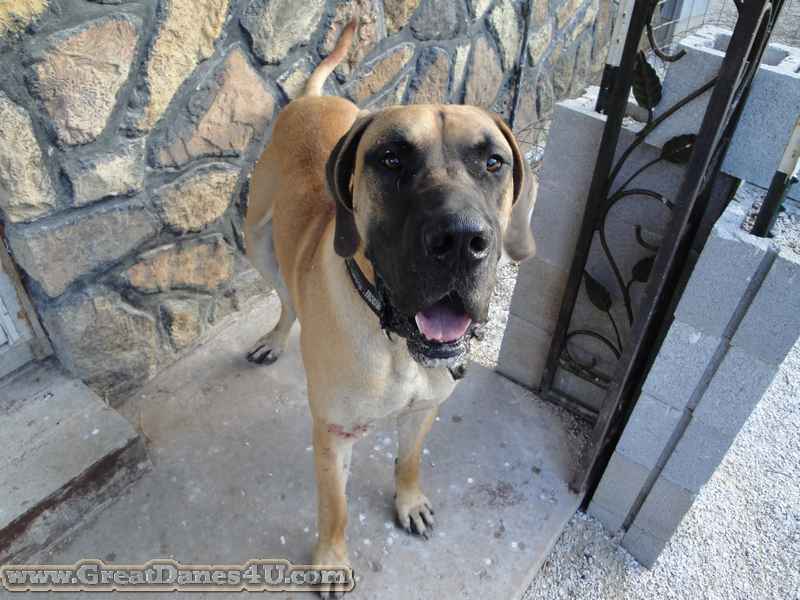 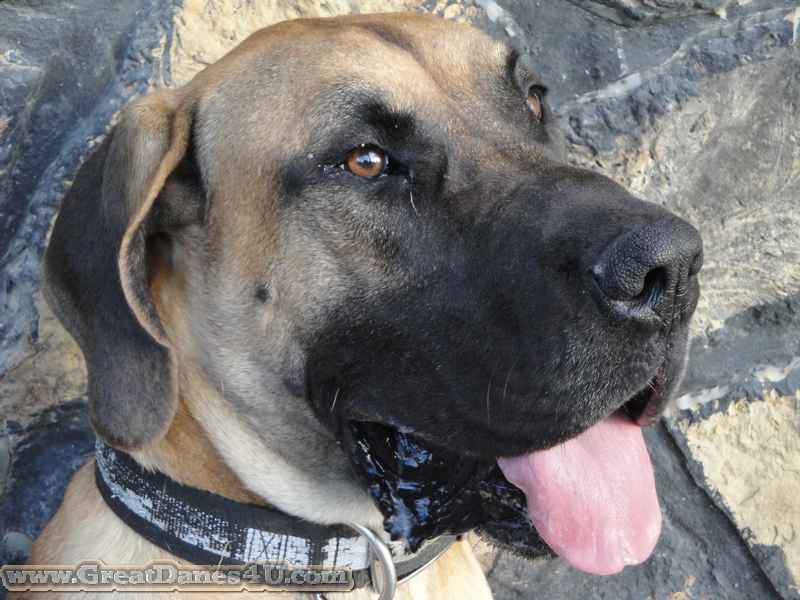 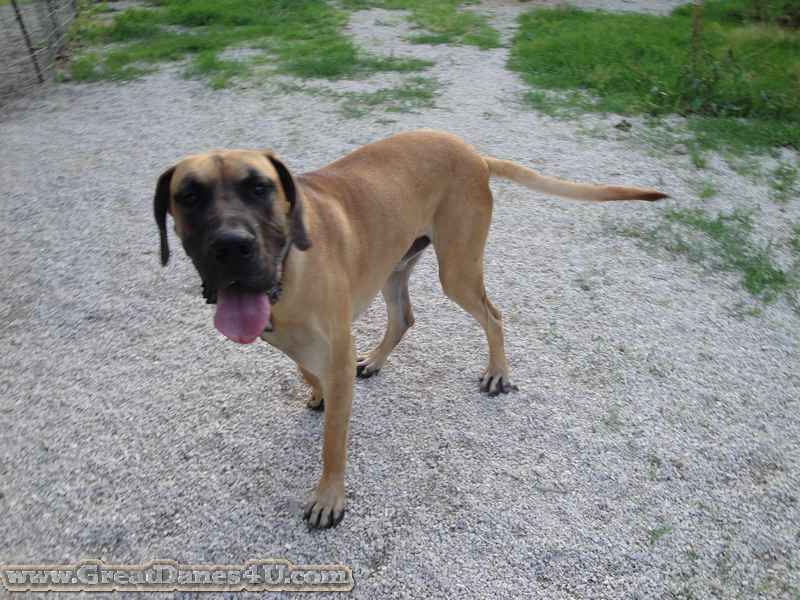 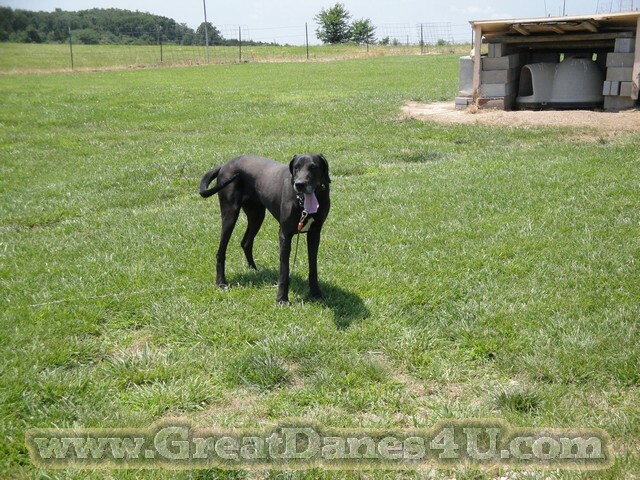 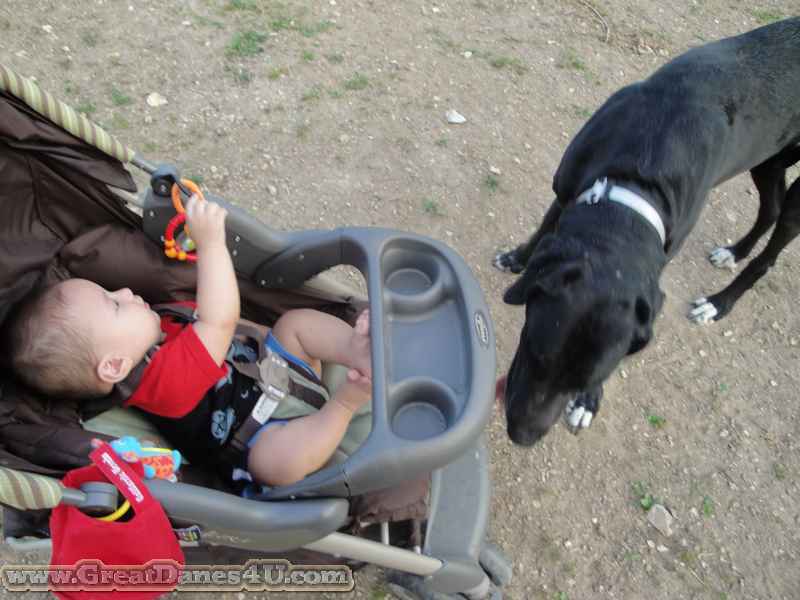 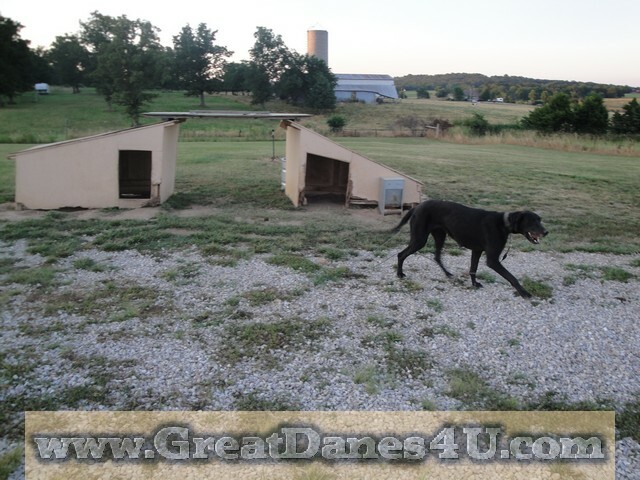 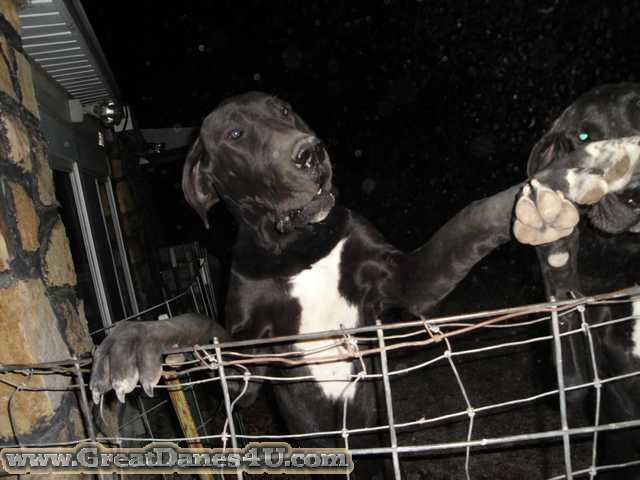 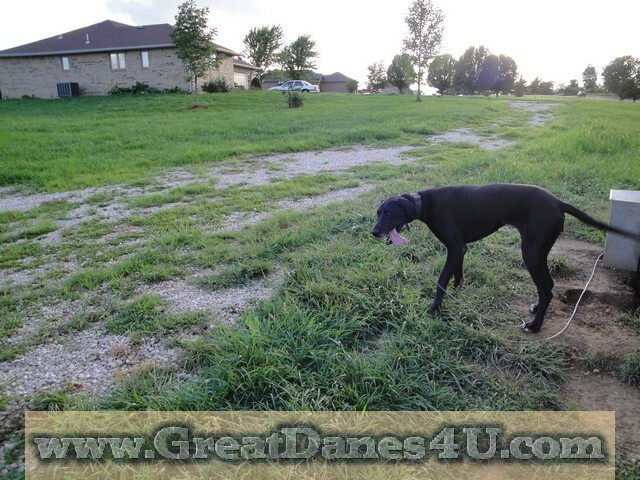 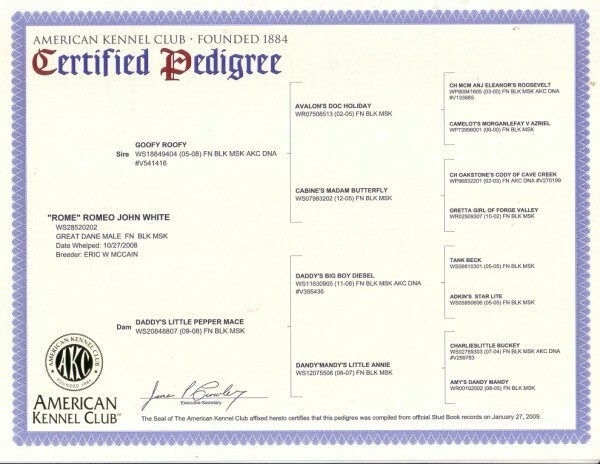 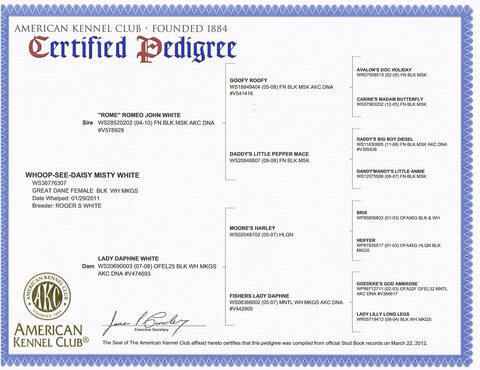 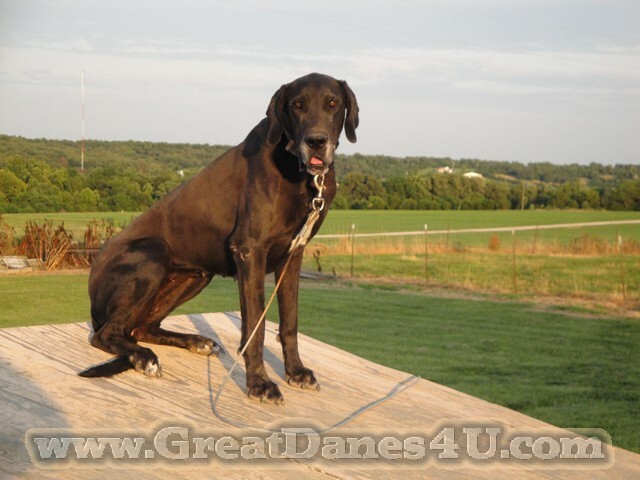 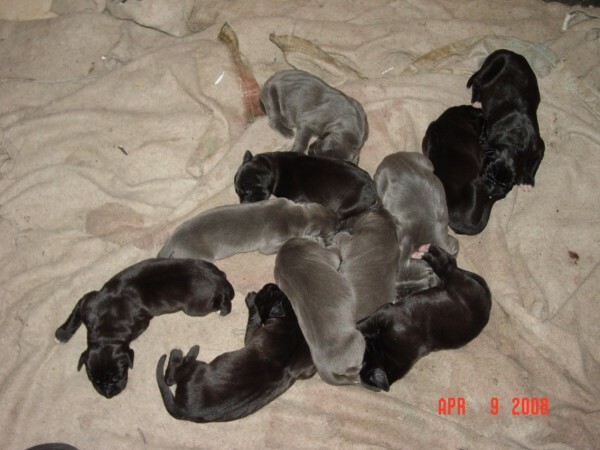 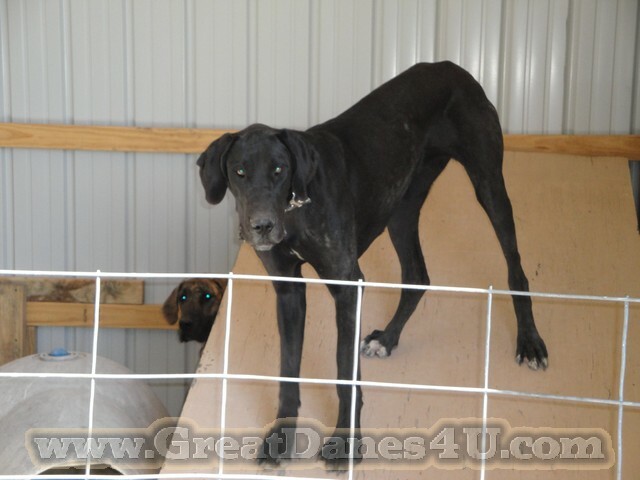 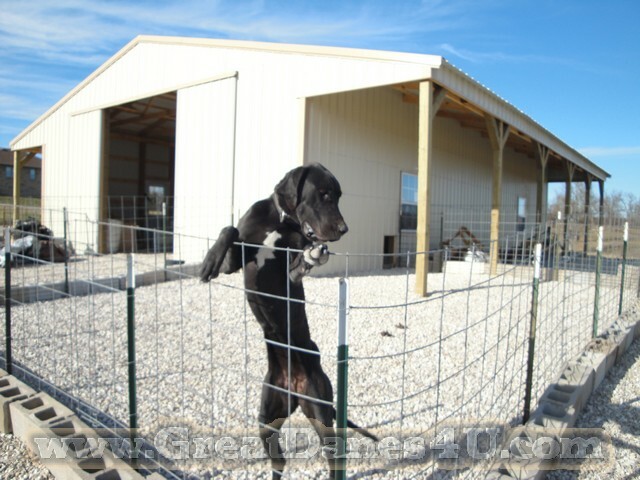 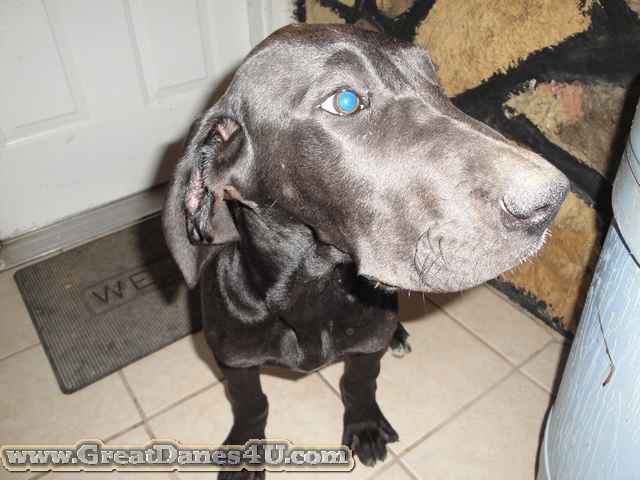 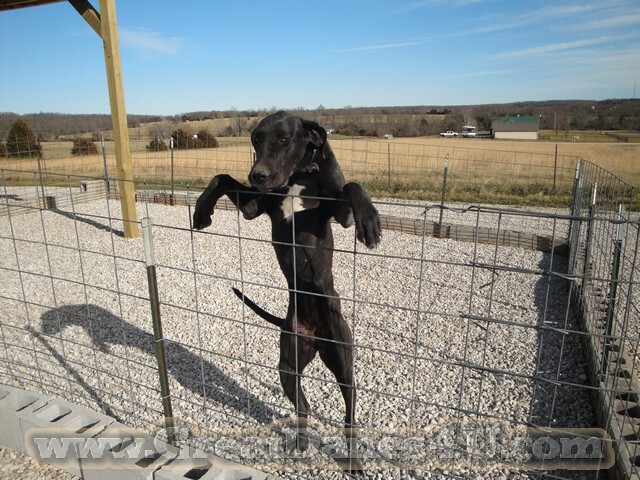 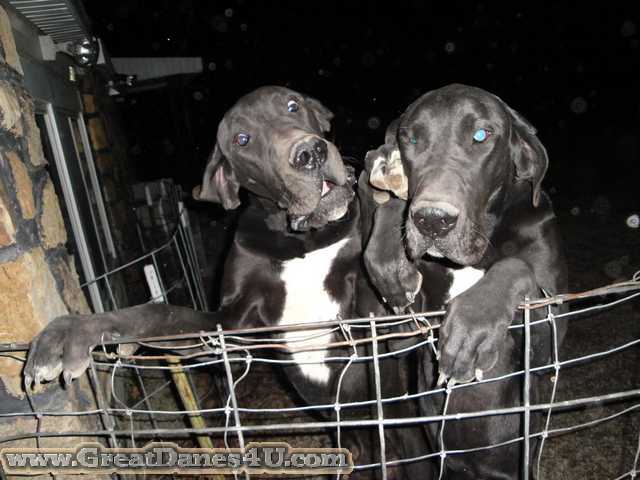 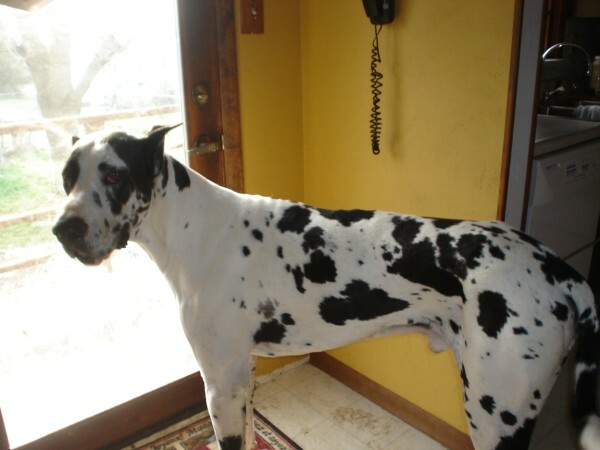 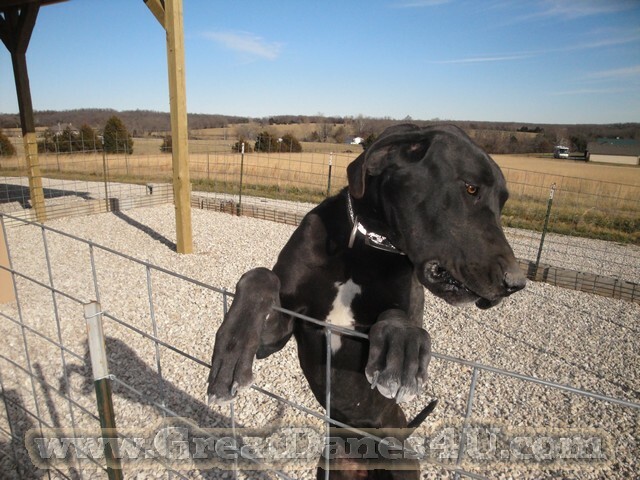 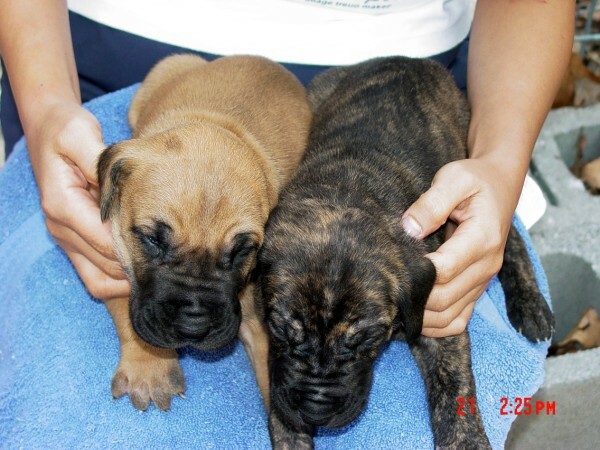 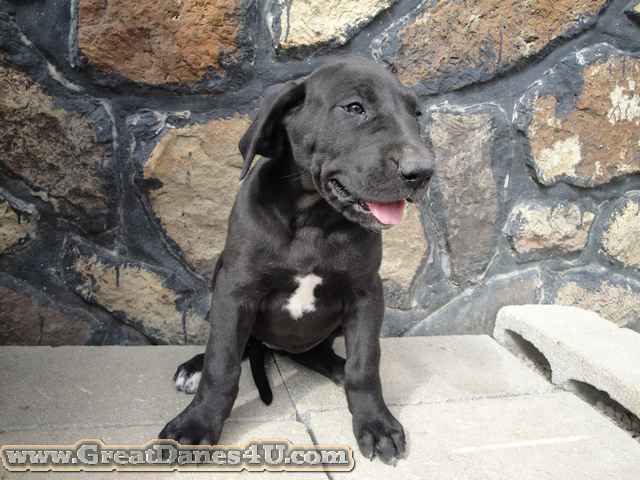 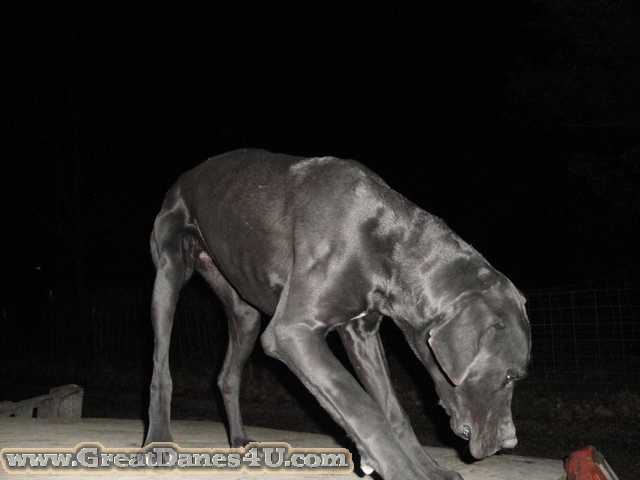 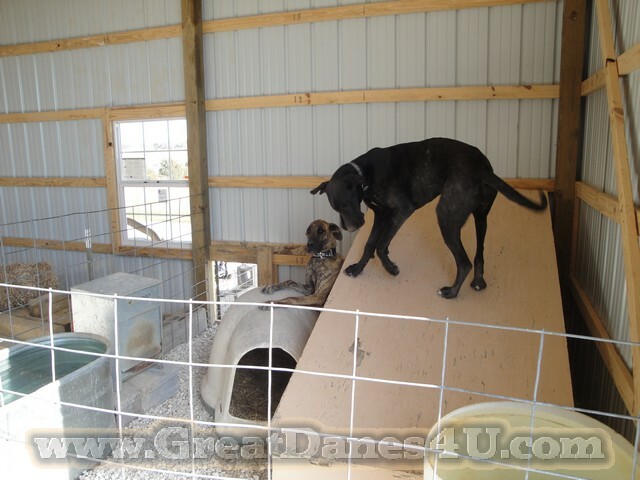 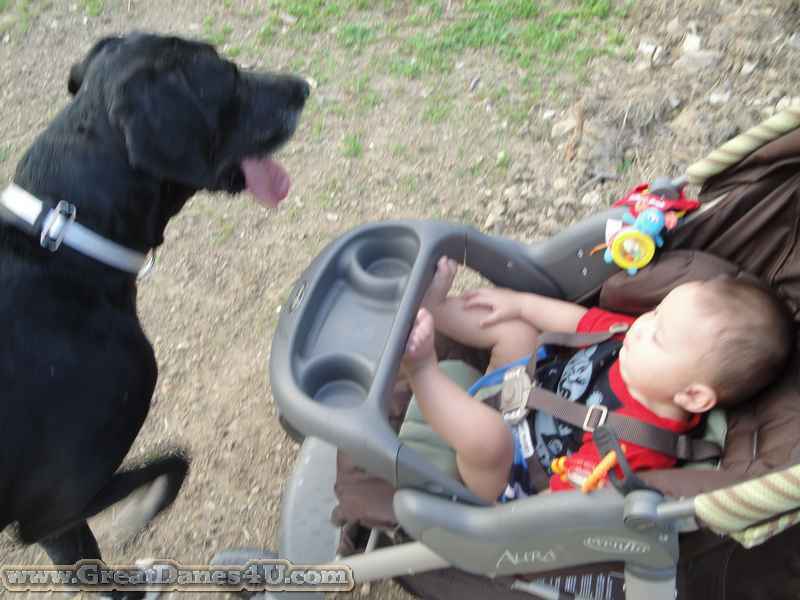 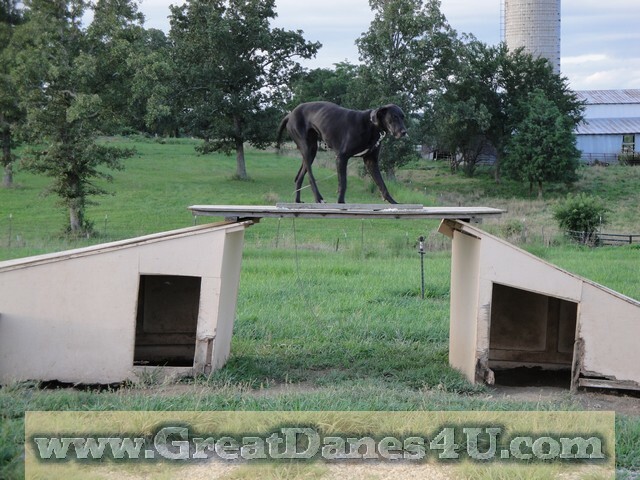 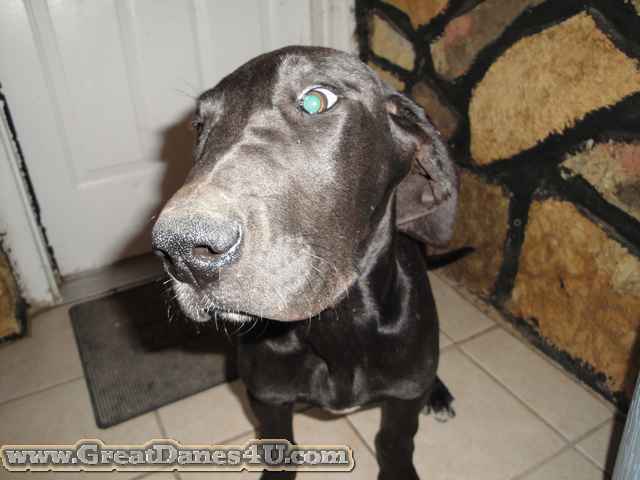 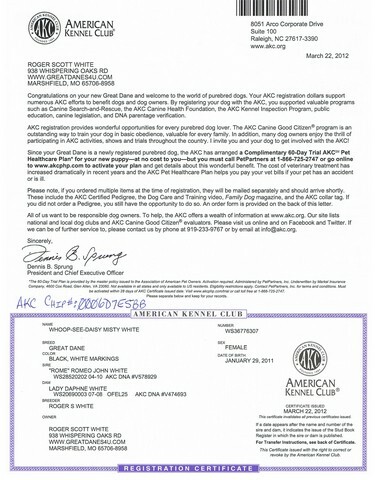 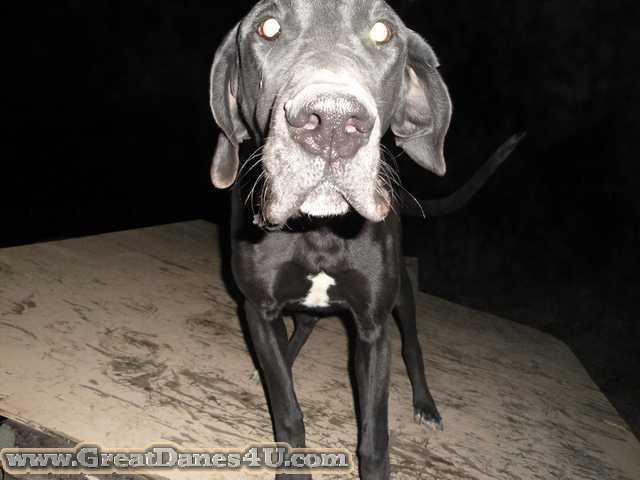 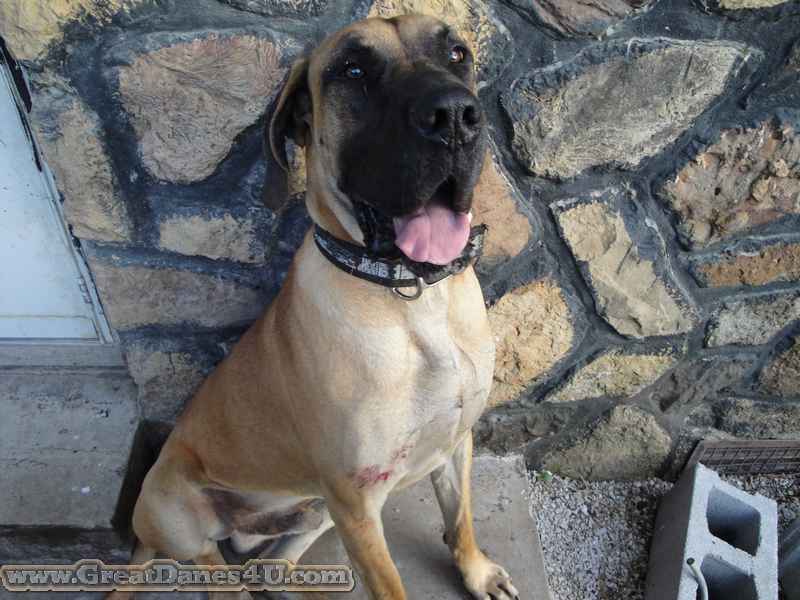 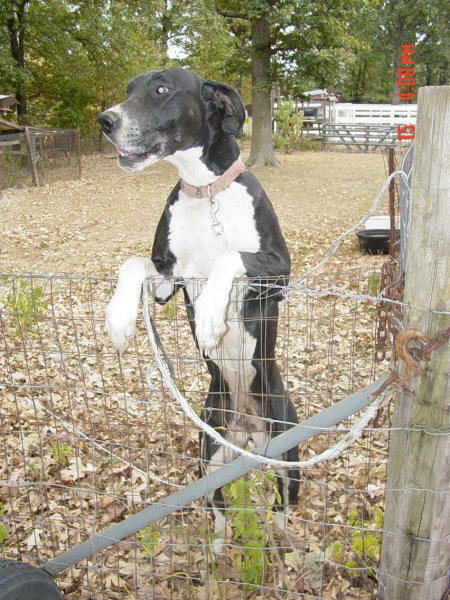 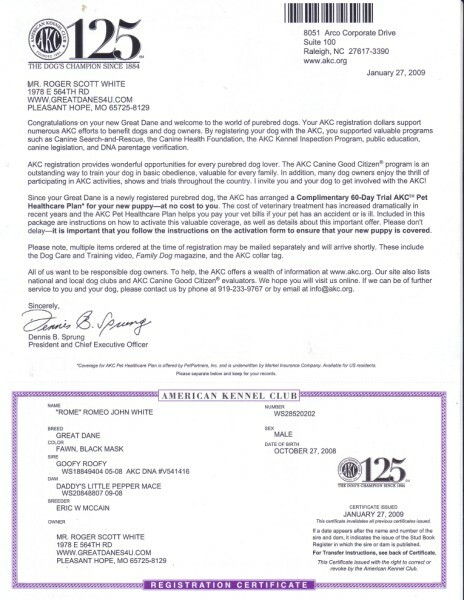 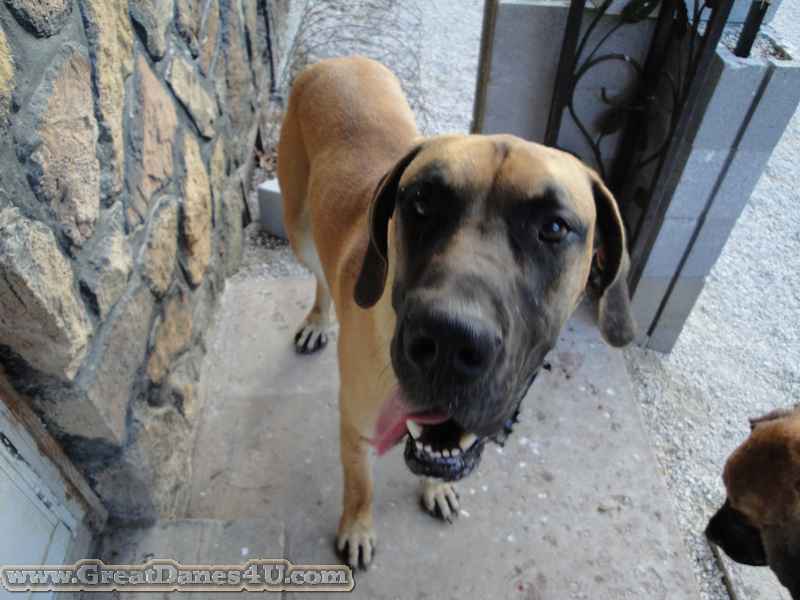 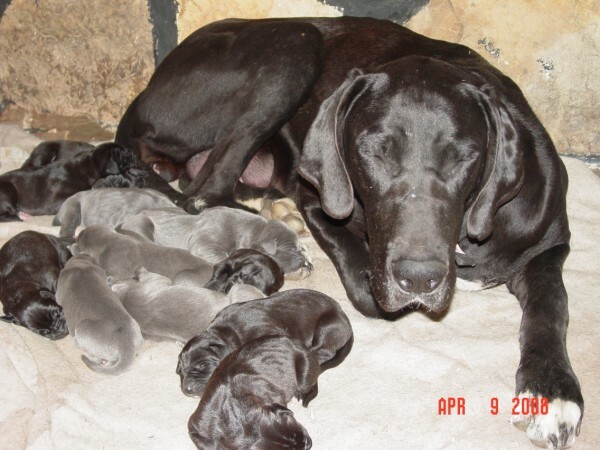 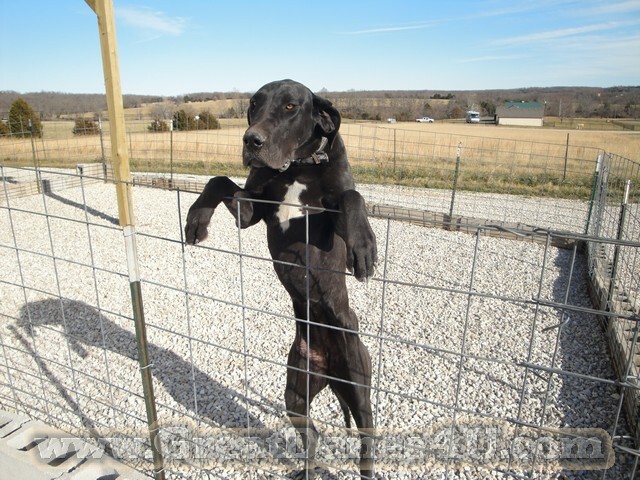 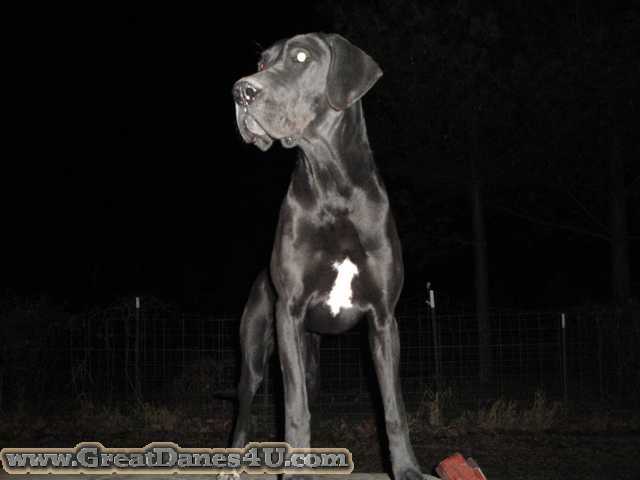 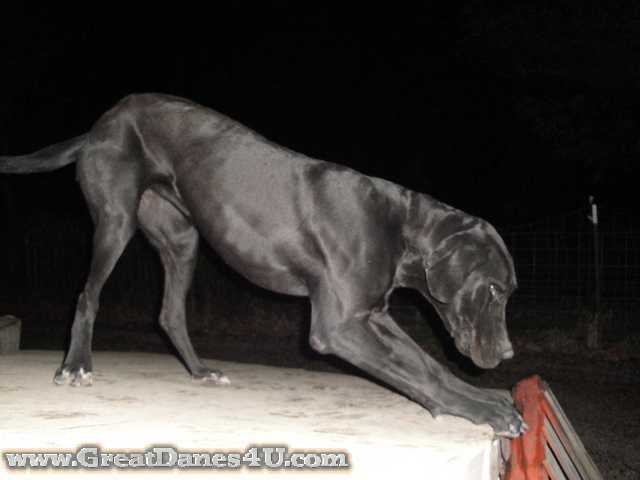 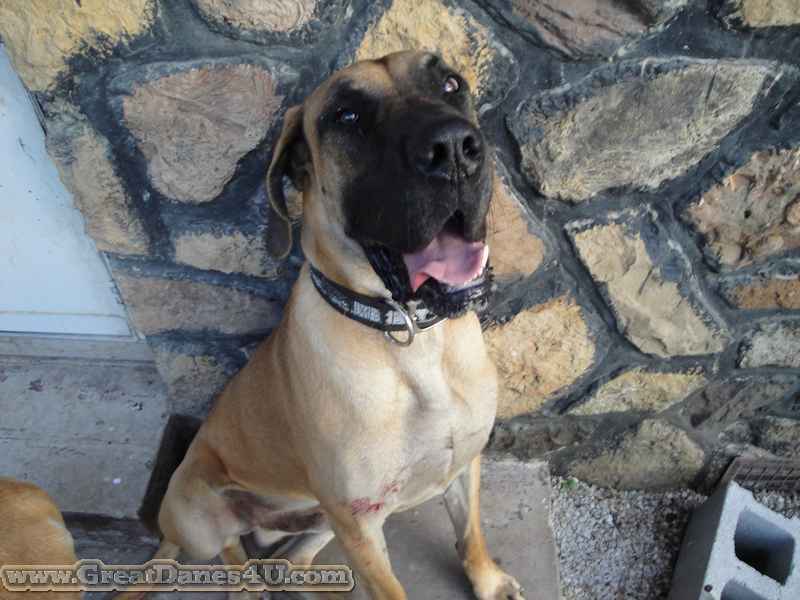 Romeo an AKC Fawn Great Dane stud is 4-Generation color pure, DNA profiled & micro-chipped with constant canine care. 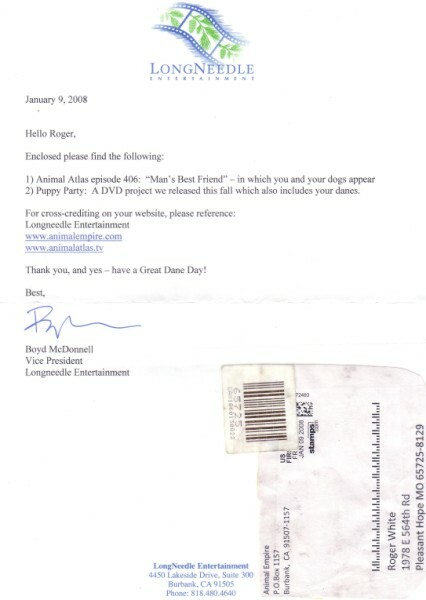 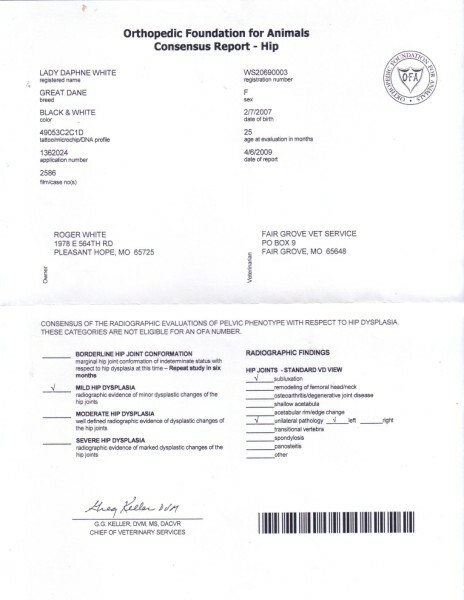 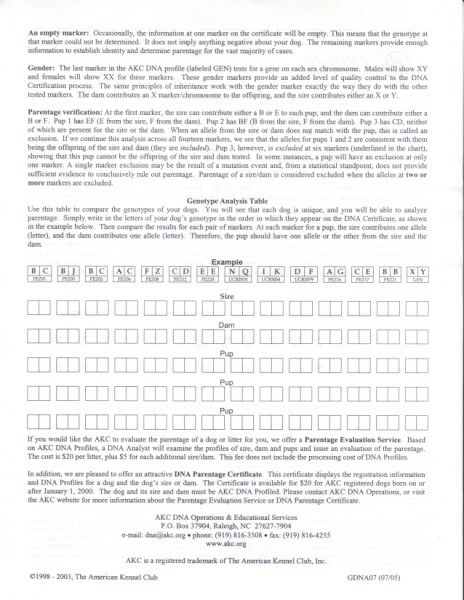 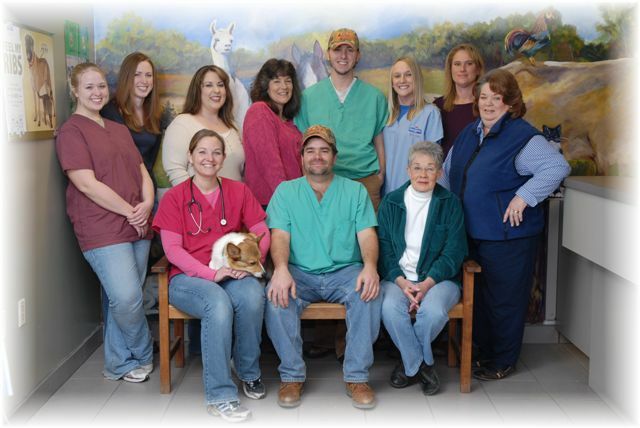 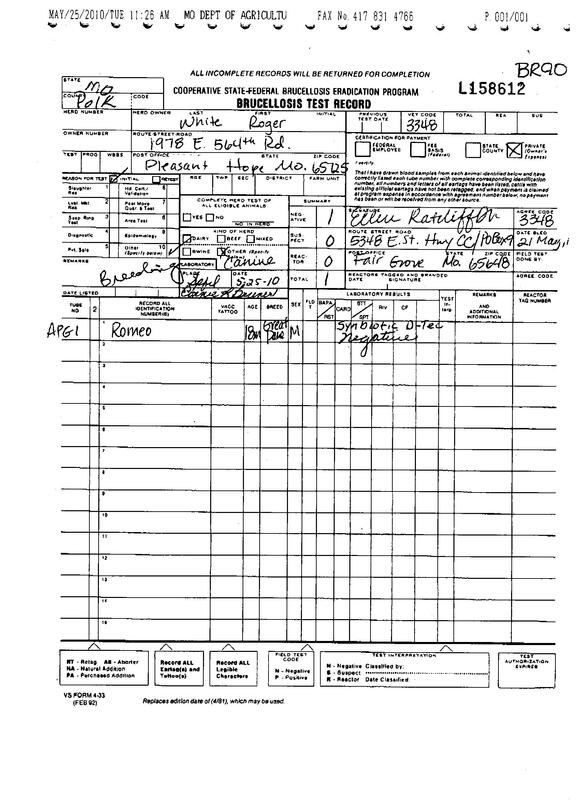 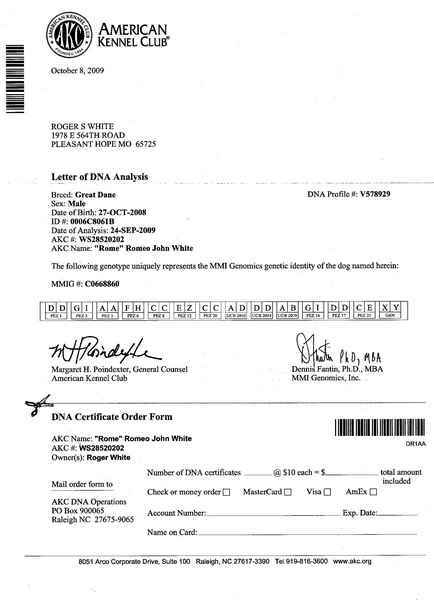 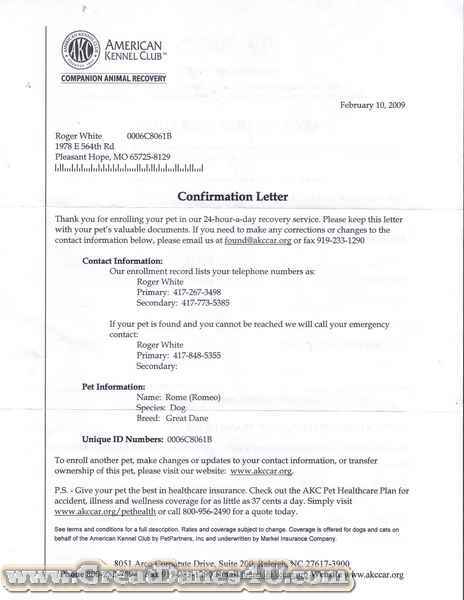 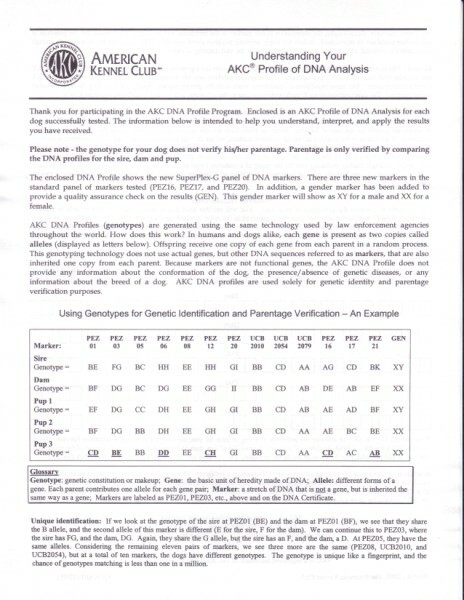 He was tested for OFA Thyroid 2010 May as well as Brucellosis Tested.